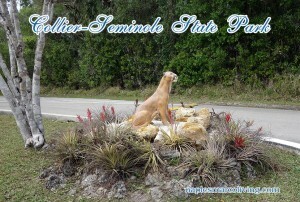 Collier Seminole State Park includes some interesting monuments and a machine that helped build the Tamiami Trail. The Park includes more than 6,000 acres of wilderness, hiking trails, and an RV Park. There are picnic shelters, a boat ramp, and a full-facility campground. 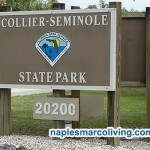 Collier Seminole State Park is a Florida State Park managed by the Florida Department of Environmental Protection. 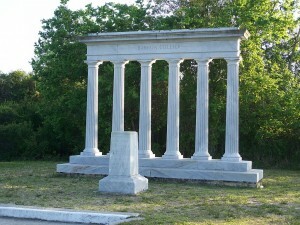 The monument is a tribute to Barron Collier – who invested his own personal wealth into building the “Tamiami Trail” and developing what is now known as Collier County. A tribute to Barron Collier.